That works and I’m not as demanding as my colleagues because I know I write things like that then refine later. The particular conceptual problem is that each branch is printing an entire line. That decision inattention (because it’s not really a decision) strongly influences the solution to create a branch for each type of line. It performs too many divisions and it duplicates the strings. The underlying problem here is that this is a well-known problem and that people applying for anything other than a first job in programming should already have a refined answer ready to go. You should have already done this, and maybe multiple times. And, technical screeners know this. If you don’t know about this problem, you aren’t paying attention. If you are applying for their first programming job might understandably not know this, but after that you should. But, I wondered how I’d do it without an if at all. This isn’t something that I’d submit for a job interview (unless I didn’t want it), and I’m not trying to golf it or obscure the operation with odd syntax and curious variables. Sometimes it’s instructive to try a simple problem with different constraints to see what they afford (by how hard it is to avoid them) and perhaps see the problem in another way. I’d like to see more interview questions that remove features so you don’t get to do it in the refined way that you should have already prepared. After all, these questions mostly have three purposes: to see your code style, to see the sophistication of your answer, and to see what you do when you’re a bit out of your depth. I clumsily create an array to hold the pattern, and I have to add an element onto the end because it’s a combination. That’s not so good. I use the ..F.BF. string to denote the pattern (and it’s palindromic, so that’s the reverse. But, the single character doesn’t handle the ‘FB’ thing, which is two characters. Everything in the array is a reference so I can dereference it. That came up because I’d get the number through a deference to the $count variable. So, not so nice there. And, it doesn’t actually print Fizz of Bin (it’s F and B). I could fix that too, but by this time I’ve exceeded the threshold for “I can fix that too”. But, put yourself in the role of the interviewer. Did I avoid the if? Nope. I have the conditional operator (? :) in the first map. That’s cheating. It looks ugly in the array index and I messed that up a few times, but the concept is simple (if you were a C programmer I guess). Start with the long bit pattern (the one that makes 810092048) and mask it with 0b11. The tricky part is that I don’t want to shift the mask up, get the number, then shift that down. So, I shift the big number down and mask it. Only the bottom two bits matter there to get the value because all the other positions are zeros. The ->$* is merely a postfix dereference of a scalar. It’s the homologue of [email protected]* and ->%*. That’s there because I want one of the array elements to be a reference to a changing value. 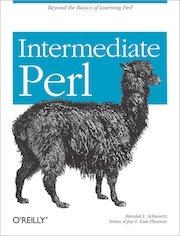 alias b2h="perl -e 'printf qq|%X\n|, oct( q(0b) . shift )'"
alias b2o="perl -e 'printf qq|%o\n|, oct( q(0b) . shift )'"
alias b2d="perl -e 'printf qq|%d\n|, oct( q(0b) . shift )'"
What really happened there? I solved the FizzBin problem on paper to get that 810092048 number. I literally wrote out the sequence and encoded it into a number then embedded that in a program. I knew special things about the mask and the length of the sequence If I reproduced that work in code I would have solved the problem already. Not only that, I quickly realized that I was going to need a lot of bits for even a small set of divisors. But, that wasn’t the point of the exercise really. And here’s a tip for you. Find out what the Fizzbin really is. Use the original technique to answer the problem anyway that you like.